Court to hear Evans N300m suit against IGP, others on wednesday – Royal Times of Nigeria. 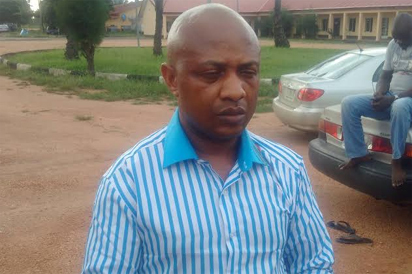 A Federal High Court in Lagos, presided by Justice Abdulaziz Anka has fixed Wednesday, August 16, to rule on a suit filed by suspected billionaire kidnapper, Chukwudumeme Onwuamadike, known as Evans, suing the Inspector General of Police (IGP) for N300 million. Evans is claiming the sum of N300 million as general and exemplary damages against the Police for alleged illegal detention and unconstitutional media trial. In the suit, Evans is also asking the court to declare that his continued detention since June 10 without arraignment violates his fundamental rights as guaranteed under the 1999 Constitution.